Permanence, perseverance and persistence despite all obstacles, discouragements, and impossibilities: It is this, that in all things distinguishes the strong soul from the weak. Indeed, Prerna Saini is one such determined and enthusiastic player who has always exhibited outstanding performance in “Taekwondo”. She won Gold Medal under 41 kg weight category in SGFI Delhi State Taekwondo Championship held at Chhatarsal Stadium and bagged Silver Medal in under 40 kg weight category by taking part in SGFI National Taekwondo Championship held at Kerala. 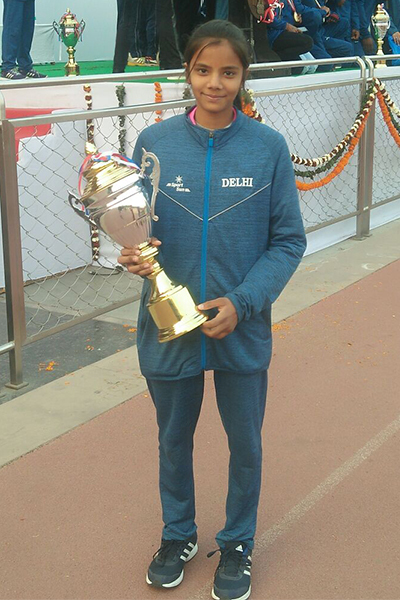 Prerna Saini had also done wonders in Delhi State CBSE Taekwondo Championship where she bagged Gold Medal under 45 kg weight category. It is truly said that tenacity is incredibly important. Her ambition is the path to success, and she has always shown her keen dedication and commitment in this sport and came out the flying colours. 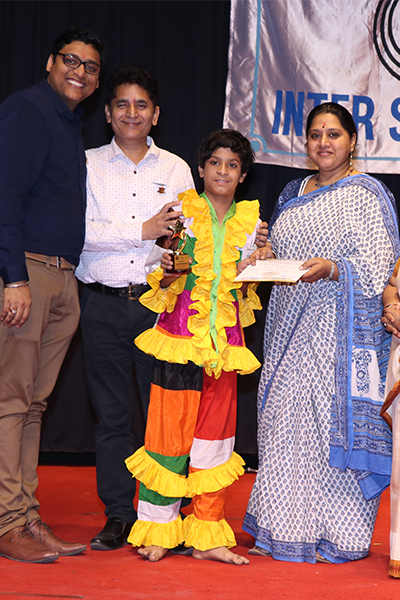 Tanishq Chaudhary, the gleaming theatre artist of our school exhibited his extraordinary skills in myriad forms like by performing in 20th Film Media Award 2018 at Meerut where he won the National award and was honoured on such major platform. This grand event organized by UP Films Photo Journalist Welfare Association was attended and witnessed by many dignitaries and the renowned people from Film industry. He too showcased his acting talent in 63rd Drama and Dance Festival organized by All India Artist Association in Kalibari Auditorium, Shimla. He enthusiastically participated in the drama themed on Rab Meherbaan Taan Gadha Vi Pehalwaan. He raised the bar of excitement and talent and bagged the title of Best Child Actor. The Chief Organiser- Mr. Rohitash Gaud (actor of Bhabhi Ji Ghar Par Hain) appreciated the efforts of the school for providing such platform to the exuberant performers. This honour has further motivated and strengthened our goal of maintaining the same level of excellence! Tanishq Chaudhary, indeed left an indelible impression as a role model to budding artists to emulate.